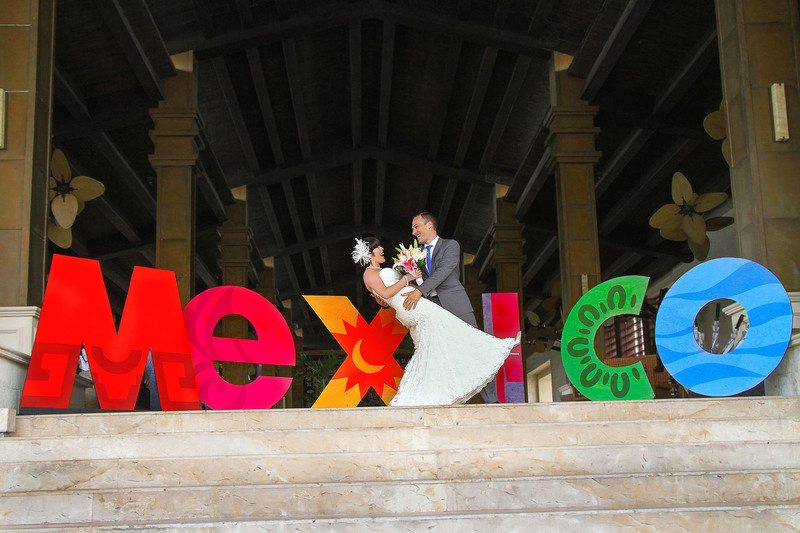 This entry was posted in Fotografia Matrimoni, Royalton Cancun Weddings, Wedding Photography. Lidia Grosso is an international Wedding and Portrait photographer based out of Cancun, Mexico. Lidia owns and operates Photosmile, a Photography Studio of freelance photographers that specializes in Destination Weddings, Portraits, Newborn Photography and Corporate Events. Lidia and Photosmile’s work has also been featured in the bridal Canadian Magazines Today’s Bride and Wedding Vacations. Lidia and Photosmile serve the areas of Cancun, Riviera Maya, Los Cabos and other destinations in Mexico, Turin Italy and any European destinations. Creative Photojournalistic style and capturing the right moment and the real personality of everyone is what we do best, along with understanding of lighting and care for details. Photosmile’s goal is to deliver a unique and fun photographic experience to all of our clients! We will be looking forward to hearing from you to capture your Wedding and Love Story, your Engagement, Wedding Proposal or your Family Photos! - Lidia Grosso Photography © 2015 - Cancun Destination Wedding Photographer, Portrait Photographer Cancun, Riviera Maya Weddings, Los Cabos Weddings, Mexico and International photographer.